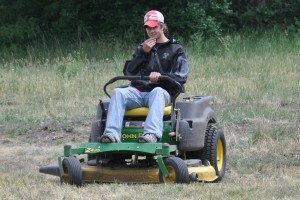 The grounds assistant needs to have finished his 1st year in college or be 19 years or older. This job involves mostly physical labor, so the person needs to be willing and able to work hard. There are occasions when the Grounds Assistant will be called on to substitute for counselors for short periods of time.